Above: concert goers attend last year’s ALT Summer Camp. As Goldenvoice’s contract with handling music festivals at The Queen Mary continues to flourish—recent events have attracted everyone from Erykah Badu and Miguel to Snoop Dogg and Ice Cube—so does the Long Beach music scene. 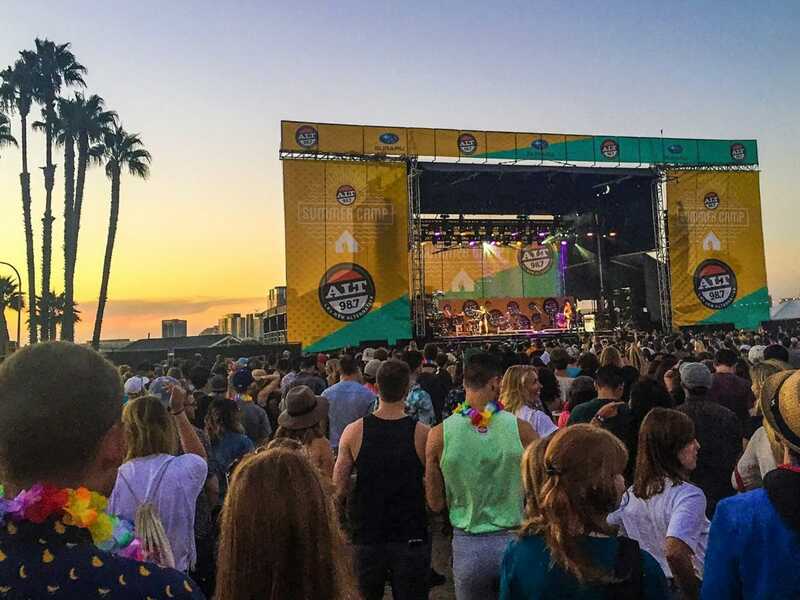 Alternative radio giant 98.7 has announced that its annual ALT Summer Camp festival will continue, taking over the Queen Mary this year on Sunday, August 12, with headliners Death Cab for Cutie, ODESZA, an CHVRCHES. Joining the major three headliners are Judah & The Lion, AJR, Sir Sly, Jungle, Lovelytheband, Superorganism and Two Feet.